Oral and maxillofacial surgery specializes in small scale surgical interventions in the mouth or more complex interventions like injuries and defects in the face, jaws, head, neck and the hard and soft tissues in the oral and cranio-maxillofacial region. The most common types of procedures, however, involve surgical tooth extraction, extracting cysts or chronic infections and extracting or anchoring dental implants. Our dentists in Romania work in appropriate conditions, paying careful attention to the hygienic conditions and the safety of the procedure. Dental treatments may sometimes require a surgical intervention. However, this is done using a local or general anesthetic and the patient feels no pain during the procedure. Treatments that involve surgical procedures usually deal with the removal of teeth or with specialized procedures meant to help dental implants fuse with the bone. Dentoalveolar surgery includes any surgical procedures done to remove impacted teeth or to perform difficult tooth extractions. Complex procedures may include bone grafting or preprosthetic surgery meant to prepare the patient for the placement of implants, dentures and other dental prostheses. Surgical procedures can also be used to insert osseointegrated dental implants and maxillofacial implants. Dental surgery is sometimes used to correct the wrong biting forms of patients. Maxillofacial surgery can include cosmetic surgery for the head and neck or can be used to treat disorders (sleep apnea, temporomandibular joint disorders, chronic facial pain disorders, etc). Trauma sustained in the oral and maxillofacial region is also treated using surgical procedures. This includes jaw fractures, cheek bone fractures, nasal fractures, skull fractures or eye socket fractures. However, these types of severe traumatisms are treated by specialized surgeons. 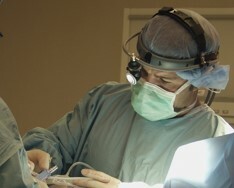 Oral and maxillofacial surgical procedures are available for adults and children. 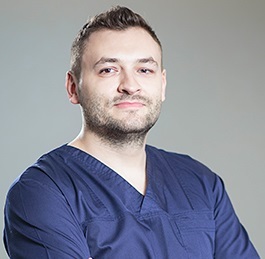 Our team of dentists in Romania specializes in small scale dental surgery and can provide high quality services for a number of dental problems. 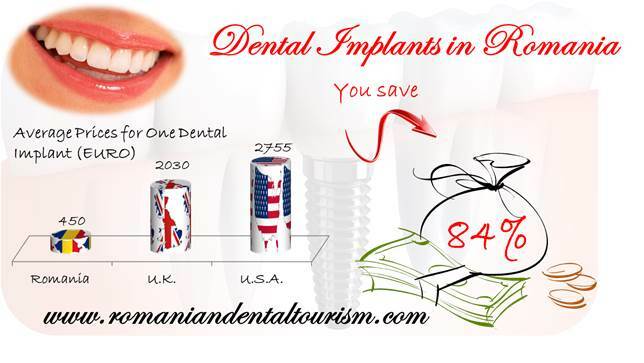 Romania is a beautiful country to visit and a perfectly suited country for dental tourism. You can schedule your dental travel trip to Romania by contacting one of our dentists. We will also help you plan your trip, book a flight and take care of the necessary accommodation arrangements.